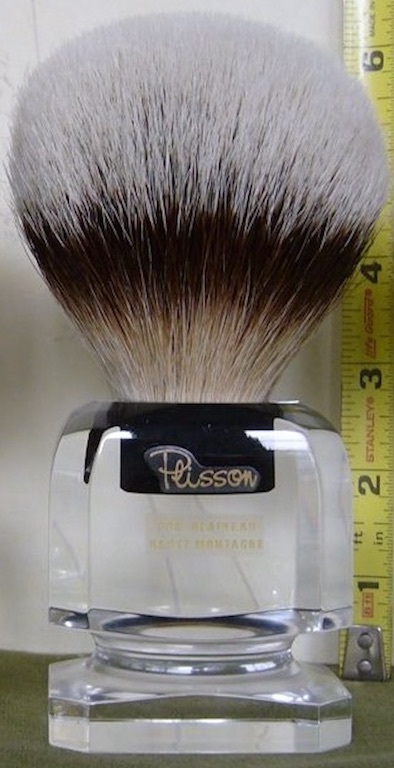 (04-10-2019, 09:11 AM)churchilllafemme Wrote: This new arrival, a vintage Plisson Plexi HMW brush, is probably the most beautiful object in my den. I'm with you, John - my vintage Plisson Plexi HMW is just on another level from anything else. That reddish middle band with long snowy white tips is something I've never seen in any other brush, including vintage Plisson HMW brushes. 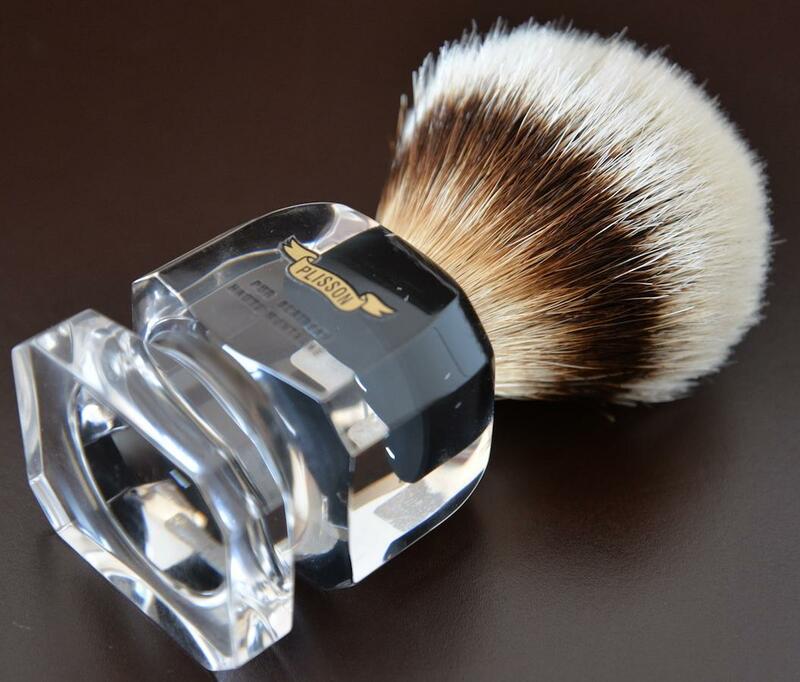 Approximately how old would that brush be ? Roughly. I'm asking both of you, Monk and John. It is beautiful. I'm not at all an expert, but I would guess from the "Plisson" labels that mine is probably from the late 1970s and David's from the 1980s or 1990s. (04-17-2019, 08:45 AM)TheMonk Wrote: I'm with you, John - my vintage Plisson Plexi HMW is just on another level from anything else. That reddish middle band with long snowy white tips is something I've never seen in any other brush, including vintage Plisson HMW brushes. Maybe most beautiful item in my collection of wet shave nonsense is this Joris brush with a Plisson knot and a palladium plated handle. (Yesterday, 12:28 AM)apogee. 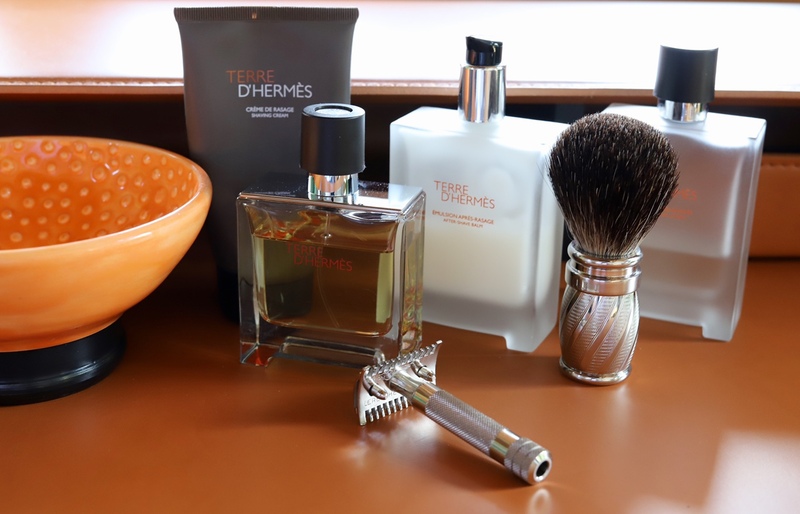 Wrote: Maybe most beautiful item in my collection of wet shave nonsense is this Joris brush with a Plisson knot and a palladium plated handle. 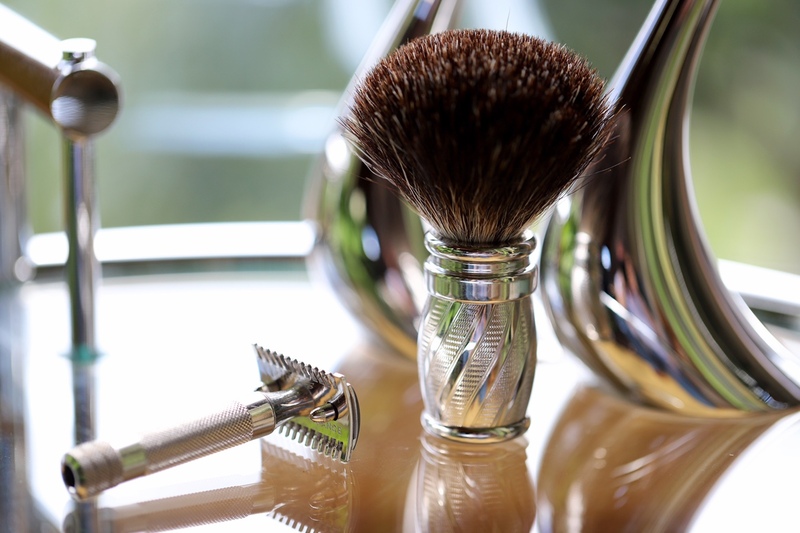 That razor and brush look gorgeous and so aristocratic together Apogee. The Leresche’s plating is a nice match, I think.